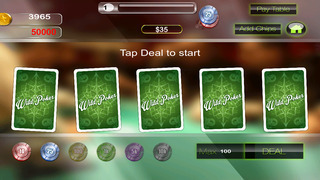 Ace Wild Deluxe Video Poker is the best video poker app out there as it gives you the opportunity to feel what exactly is like to play in Vegas — Wild, exciting, and fun! 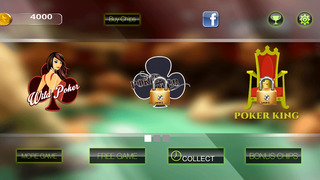 Choose among 9 exciting themes and games you can enjoy playing all day. Be addicted! Don ‘t worry, the stakes are low but the chances of winning are high! Download and play Ace Wild Deluxe Video Poker today!